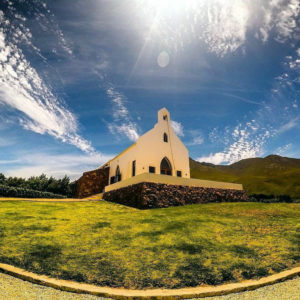 The estate was founded in 2004 by former Hamilton Russell winemaker and Cape Wine Guild member, Kevin Grant, who owns the property along with his wife Hanli. Kevin considers himself a dirt farmer, striving to make sure his wines are a pure expression of the soil in which the fruit grows. Not surprisingly, then, Kevin approaches his wines with a minimalist, non-interventionist winemaking philosophy. Chardonnay and pinot noir are planted exclusively. Vines are planted on predominately south facing slopes, with soil types dictating which varietals are grown where. 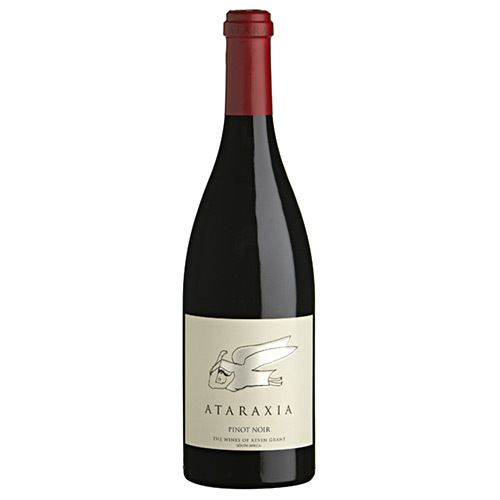 Ataraxia’s vineyards are nestled in the slopes of Babel’s Tower mountain range. Elevation on site ranges from 358 to 399 meters (1,174 to 1,309 feet) above sea level. 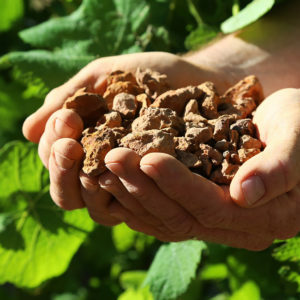 The soils that make up the Hemel-en-Aarde area can be traced back more than 100 million years. 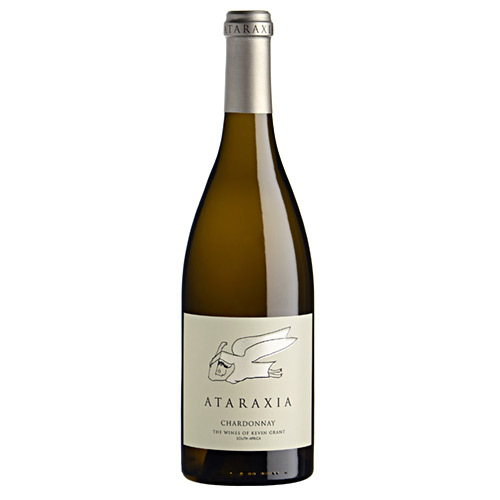 14 types are found on the Ataraxia property, including Sandstone, Cape Granite and Bokkeveld Shale, derived from the deposits of Table Mountain. The Ataraxia farm is situated within the Hemel-en-Aarde region of the Walker Bay area. West of Cape Agulhas, Africa’s southernmost tip, Hemel-en-Aarde is Afrikaans for “heaven and earth” and lies close to the Atlantic Ocean. The valley is orientated on an east/west axis and approximately 35 kilometres (22 miles) long. The mild maritime climate allows the grapes to have a longer hang time and is ideal for making elegant, refined wines. Available in Washington D.C., Maryland and Virginia. Contact us for more details. Shale soils and the cool maritime climate of Hemel-en-Aarde Ridge allows the grapes to have a long hang-time. After harvest this wine is 100% barrel fermented and carefully matured in 24% new and 76% second fill for 10 months with fortnightly batonnage. The result is a Chardonnay that is New World in origin but Old World in style. A chiselled, focused wine that effortlessly manages to be both subtle and intense. The mineral acidity is beautifully balanced by a subtle intensity of fruit. Classic length, creaminess and intriguing complexity define this stylish, world-class Chardonnay. Roasted chicken or seafood, pasta dishes made with cream or cheese, with Asian dishes that include coconut milk, or even with spicy curries. The 2015 harvest was dryer, but not hotter, than usual, resulting in some of the healthiest, best quality fruit ever to arrive at the cellar door. Grapes were hand-picked, sorted, destemmed and gently crushed at the cellar. A 10 day pre-fermentation cold soak period in open fermenters was followed by a temperature-controlled ferment, for a total cuvaison of 22 days. The cap was gently punched down twice-a-day during fermentation. The wine was then pressed and racked to French oak barrels, 22% of which were new. After undergoing malolactic fermentation the wine aged in barrels for 11 months before bottling. The nose offers up a fine blend of red cherries, pomegranate, delicate forest floor and a hint of spice and new oak. The palate is a complex balanced expression of the nose, with good depth, a long finish and soft velvety tannins. Kevin considers this his ultimate food wine and suggests pairing with duck, roasted pork with herbs, salmon, mushroom with pasta or risotto, coq au vin, and rare beef.